1) Short term offer for full service local or long disance moves. Local moves have a 5 hour minimum and long distance moves with 3,000 lbs minimum. Get $35.00 off your next move. May be applied to any local move with a minimum of 5 hours of labor. This offer cannot be combined with any other offers provided by Oxnard Movers Inc. Must be requested 2 weeks prior to your move day, and this coupon must appear in your confirmation email. Only one coupon per move. 2) Send us a new question for our FAQs page and receive this coupon. Email a new question for FAQs page! Get $20.00 off your next move. This offer can be applied to any move. Local moves must have a minimum of 4 hours and long distance moves with a minimum of 4,000 lbs. You must email a question and it must appear on your confirmation email from Oxnard Movers . Only one question per move. 20 Medium Boxes Free . 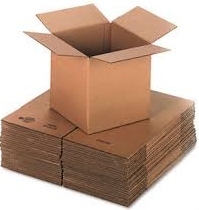 20 medium boxes may be delivered free if reservation made at least 3 weeks before move day. Boxes may be exchanged for other materials of same value. For any local move with a minimum of 5 hours of labor. This offer cannot be combined with any other offers provided by Oxnard Movers .